— Alternatives to DVD sales, including Blu-Ray, online downloads, and other rental methods like Netflix (NSDQ: NFLX) and kiosks are growing at a double-digit clip, albeit from a small base. — Recent estimates by researcher Global Media Intelligence of 300 percent Blu-Ray growth in 2009 are probably “slightly aggressive,” she says, suggesting that Reif-Cohen still believes that triple-digit growth is feasible this year. — Blu-Ray currently represents only 4 percent of the home-video market, but for popular titles can represent 20 percent of all purchases. 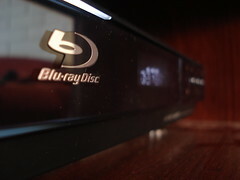 — While DVD sales were awful in the fourth-quarter of 2008 (down 15 percent) some of the declines were likely due to serious belt-tightening among consumers and deep discounts from retailers; DVD sales are down in the first quarter of 2009, but have stabilized some, declining in the mid-single-digits.